Funerals are a multimillion dollar industry in California. It’s enough to make your skin crawl: bodies left to mummify, graves dug up to be re-used, loved ones stuck in storage units to decompose. But these are true stories and they all raise the question: is there enough state regulation to ensure the dignity of the dead? For the family of David Wells of Rohnert Park, the question is especially meaningful. His nightmare made local headlines for weeks. He says his family paid mortician Anthony Villeggiante $1,500 for the cremation of his father, but weeks passed and his ashes never came. Instead, a call from a state investigator, telling him his father Ralph, and eight other bodies, had been found in a storage unit. Six of them were badly decayed, one was left to decompose in an office chair. Wells says the mortician was sprinkling carpet deodorizer over the bodies to hide the smell. “I just can’t believe there’s people out there that would do this,” Wells said. 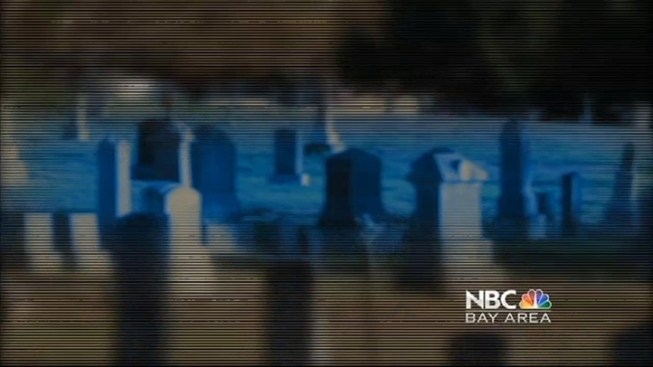 It’s unknown exactly how many of these incidents occur, but after NBC Bay Area’s Investigative Unit reviewed disciplinary actions for just the past two years, we uncovered a number of horror stories. Some of them—funeral directors behaving badly, others, outright crimes. In 2010, drivers were so stunned by what they witnessed on Interstate Highway 80 near Vallejo, they posted YouTube clips showing Daniel Mandel’s hearse on fire. CHP reports show he sideswiped another car and kept driving until the hearse caught fire. CHP officers rescued the casket inside—carrying the body of a Holocaust survivor. Mandel was arrested for driving drunk and his funeral director’s license was suspended. He was then busted for a second DUI. He’s due to appear in court next month and has since shut down his mobile funeral business. At Evergreen Cemetery in Los Angeles, investigators found human bone fragments in piles of excess dirt…. the remains of at least five people had been dug up, their burial sites reused. At Ashley Grigsby Mortuary, also in Los Angeles, two bodies were left to decompose … another - ignored so long - it actually mummified. Records also showed the mortuary lost the cremated remains of a baby for six months. Inspectors with the Cemetery and Funeral Bureau (CFB) finally found them in an employee’s car. We asked CFB inspector Richard Fisher how these things can happen. “The funeral home may not have money to maintain equipment. They may be overloaded and have too much work,” Fisher said. Sam Campagna runs Lima & Camapagna Mortuaries in San Jose. He is a licensed funeral director with 45 years of experience. “I just wish there was more inspectors to inspect these facilities more than once a year,” Campagna said. He says for some, the business of burials is just that, a business, without enough oversight to weed out the bad apples. “A lot of them are in it basically for the money. They think it’s a get rich real quick type of business,” Campagna said. Campagna worries that with roughly 1,000 funeral homes statewide, seven inspectors is not enough. So what can you do to find a reputable funeral home, cemetery or crematory? Experts in the so-called deathcare industry say start with referrals from family and friends. And look up the license of the business or operator you plan to work with. The state has records of its disciplinary actions online for everyone from embalmers and cemetery salespeople to crematories and funeral directors.